Beautifully hand made cufflinks with a chain and bar back. 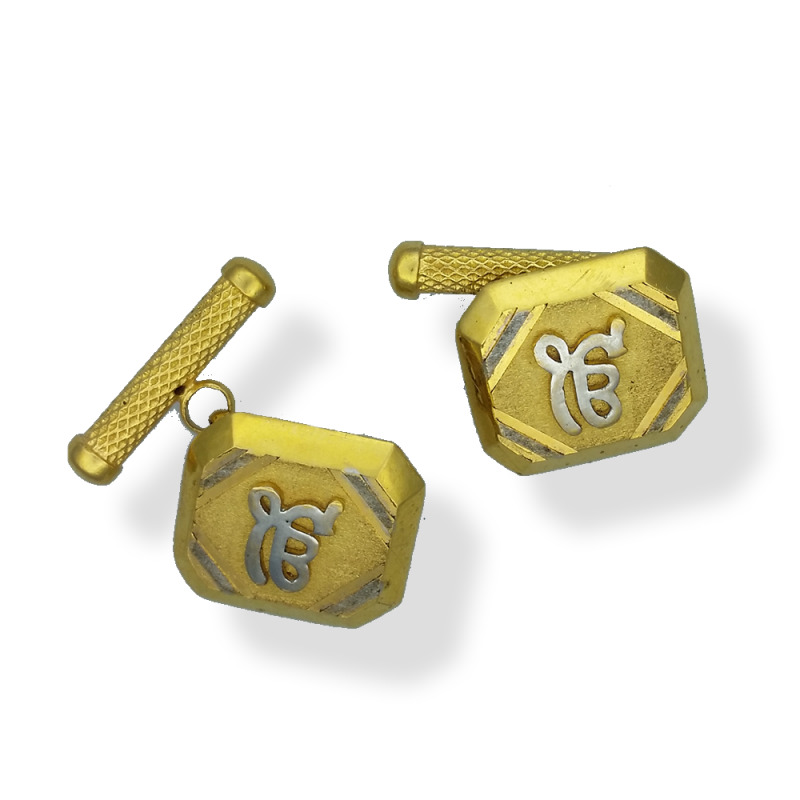 Design features the ek onkar symbol. Similar items can be made with initials or other symbols just get in touch!